St. Martins in the Field, Trafalgar Square. Monday, 17th Sept. 2018. 1 p.m. – Free Lunchtime concert. One of the five works to be sung by mezzo-soprano Marta Simmonds, accompanied by Lana Bode (piano), is Dominic Argento’s “The Diary of Virginia Woolf”. Read more. Thursday 20 September at 3.30 – 4.30 p.m. Introducing the Bloomsbury Group; at the heart of which were the two sisters, Virginia Woolf and Vanessa Bell. Avant-garde, controversial and influential: the Bloomsbury Group. 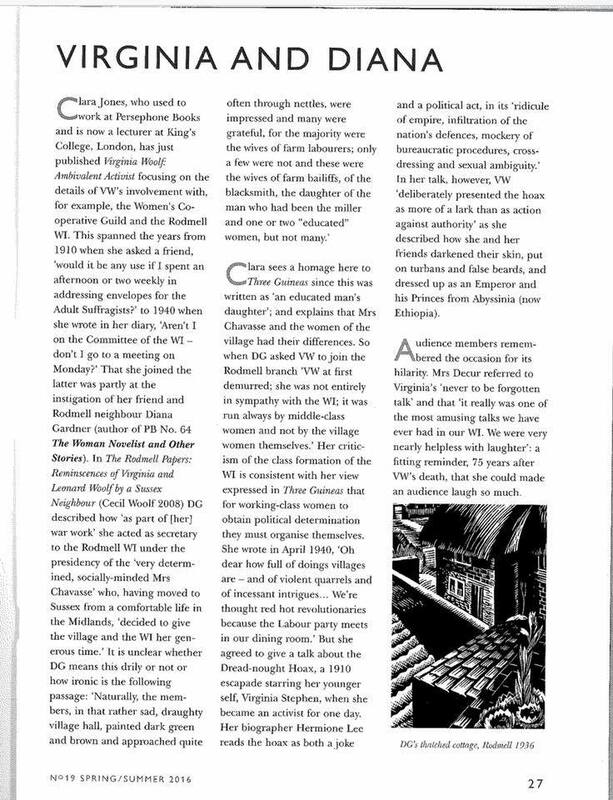 Painters, art critics, writers and economists: Roger Fry, Duncan Grant, Clive Bell, Lytton Strachey, Leonard Woolf, E. M. Forster, John Maynard Keynes, Adrian Stephen and David Garnett. 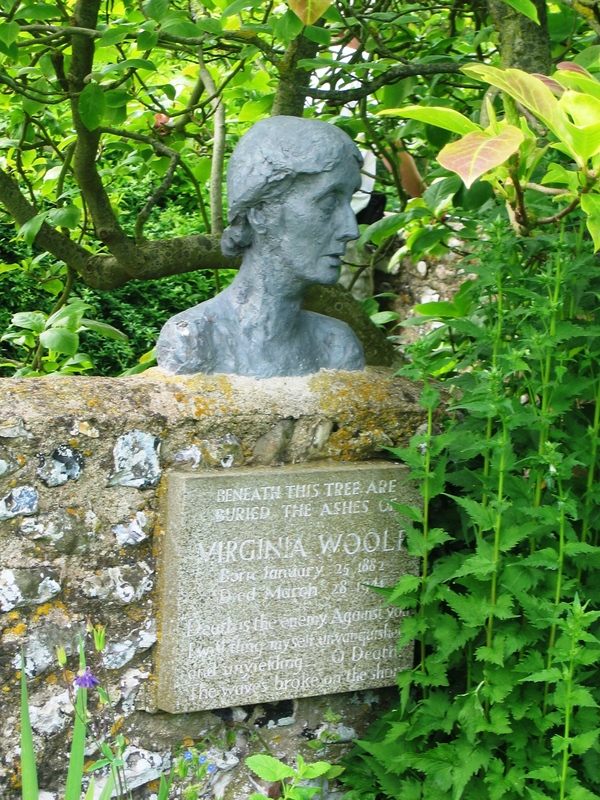 • Virginia Woolf’s Gardens, 14-19 July 2019. • Fictions of Home: Jane Austen to the Present, 21-26 July 2019. Lots of Woolf on the Web these days. Here are a few important sightings gleaned via Twitter links shared by Jane deGay and Maggie Humm. 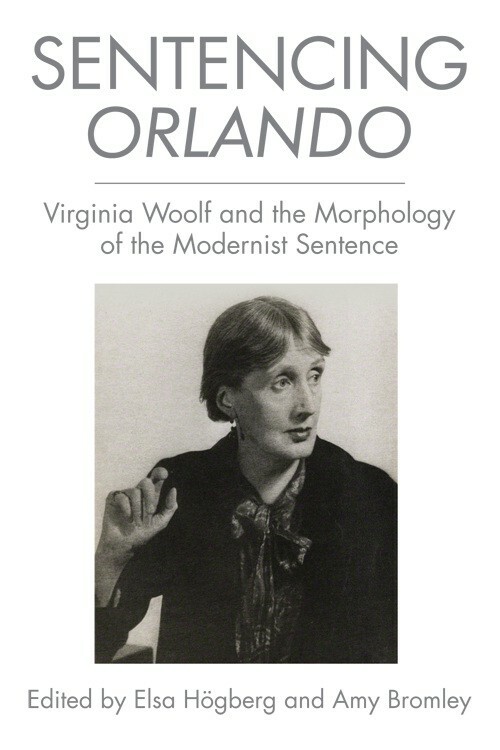 Sentencing Orlando: Virginia Woolf and the Morphology of the Modernist Sentence, edited by Elsa Högberg and Amy Bromley, is a collection of 16 original essays offers fresh perspectives on Orlando through a unique attention to Woolf’s sentences. “Six Ways Virginia Woolf Pre-Empted Spring’s Key Looks,” by Kaye Fearon in British Vogue, Feb. 21, 2018. Bonnie Greer on Virginia Woolf and the Bloomsbury Group, a podcast discussing the friendships, work and designs behind the artists, coordinated with the Virginia Woolf exhibition at Tate St Ives, 10 February – 29 April 2018. Then view her art walk below. Here’s a new take on Vita and Virginia. 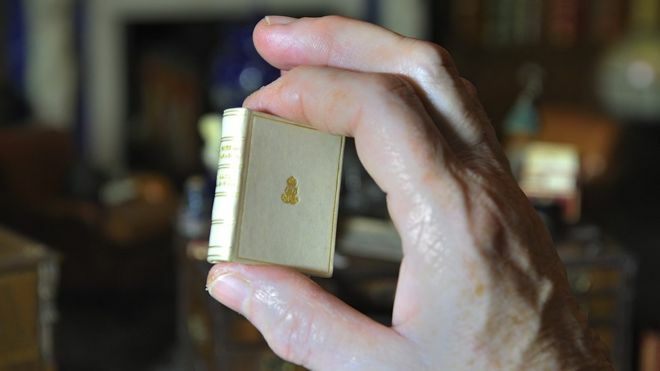 Vita Sackville West’s miniature book, written as an accessory for a famous doll house in 1922, is said to have been the inspiration for Virginia Woolf’s 1928 novel Orlando. The story, encapsulated in a volume about the size of a matchbox with just 20 words per tiny page, is titled “A Note of Explanation.” It was one of 200 volumes produced for the library of Queen Mary’s Dolls’ House, a replica of an Edwardian residence made as a gift for the consort of George V, according to The Telegraph. Some of the greatest authors of the day were commissioned to write works for the doll habitat, now on display at Windsor Castle. Besides Vita, they included Thomas Hardy, Rudyard Kipling and Sir Arthur Conan Doyle. The theme of Vita’s story will sound familiar to anyone who has read Woolf’s pseudo-biography. It tells the tale of an ageless figure who is present for major moments in history. However, in Vita’s version, the ageless figure is a sprite and the history the sprite lives through is fairytale history — from Cinderella’s ball to Sleeping Beauty’s kiss. Woolf always acknowledged that Orlando had been inspired by Vita and her family, but apparently did not acknowledge that Vita had written a tiny book with a similar theme. 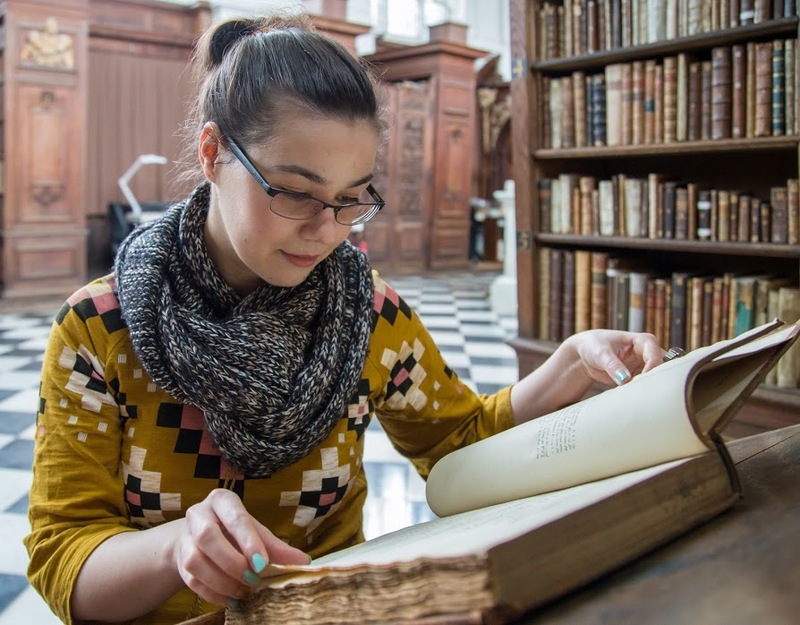 A hardback cloth-bound publication of the book, sized 9.8 inches x 6.8 inches, went on sale Oct. 16 by the Royal Collection Trust, according to the BBC. 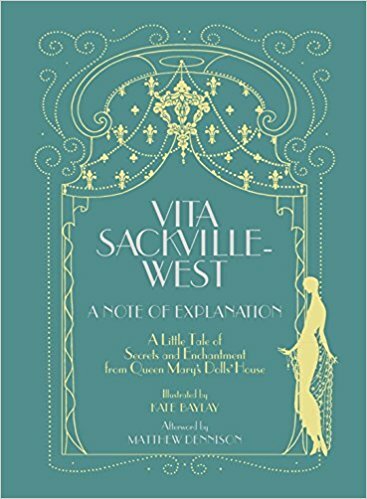 It includes illustrations by Kate Baylay and an afterword by Sackville-West’s biographer, Matthew Dennison, The Guardian reported. You can order it through the RCT shop. You can also find it on Amazon. The luxury British fashion brand Burberry will soon launch a new collection inspired by Virginia Woolf’s novel, Orlando: A Biography. The ad campaign for the collection was shot by famed fashion photographer, Mario Testino, at the Walker Art Gallery in Liverpool. A photo from Burberry’s newest collection (photo by Mario Testino for Burberry from Burberryplc.com). The campaign will celebrate the new collection as well as highlight the craftsmen who create Burberry products. An preview of the upcoming Burberry campaign (photo by Mario Testino for Burberry from Vogue.co.uk). Just as Virginia Woolf’s Orlando is both a love-letter to the past and a work of profound modernity, this week-long exhibition aims to nod both to the design heritage that is so integral to Burberry’s identity, and to some of Britain’s most exciting creators, and the innovation and inspiration behind their work. The Burberry Woolf tote (from 2009). This is not the first time Burberry has been inspired by Woolf. In 2009 Paula Maggio wrote about a Burberry collection and ad campaign which was influenced by Woolf. At the time, Burberry even offered a tote bag named after the author, which was available in several prints and styles. Check out Vogue News for more information on Burberry’s Woolf inspired collection and about the upcoming London Fashion Week event. Artist Anne Lindberg’s pencil drawings include Virginia Woolf quotes. Novelist Pamela Erens experienced a “breakthrough” when she reread Virginia Woolf and borrowed some of her methods for her novel Eleven Hours. 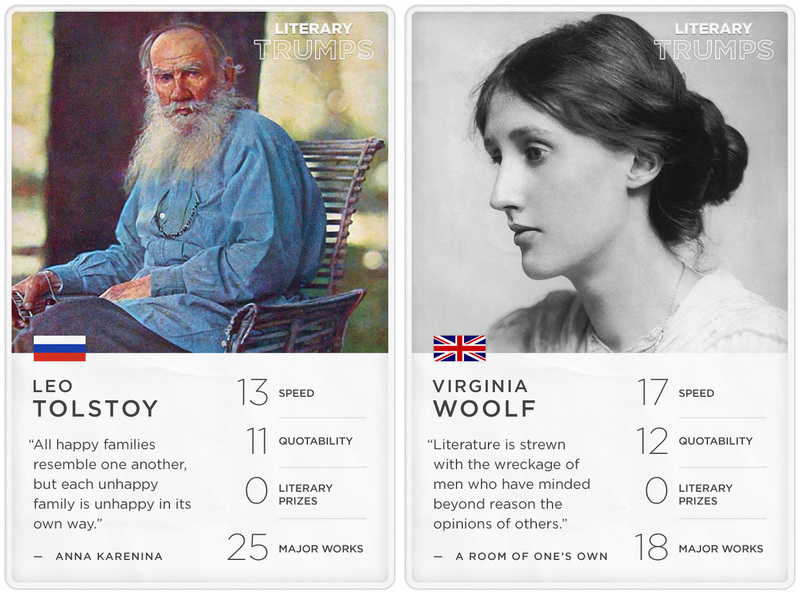 Mrs. Dalloway on list of first 20 Pocket Penguin Books. Virginia Woolf’s A Room of One’s Own is life-changing book included on celebrity list. Readers of The Guardian say Virginia Woolf is a must-read. My Bloomsbury hotel in London will give guests Bloomsbury-inspired coloring packs. A review of The Dalloway Terrace restaurant in London. Stevie Smiths’ Novel on Yellow Paper was Woolf-like. A Room of One’s Own is on list of best books about freedom. Helen Garner’s Everywhere I Look mentions Virginia Woolf’s Lilly Briscoe. The New York Times review of a children’s book about Virginia Woolf. Mrs. Dalloway to be on stage at Vassar. Nine great literary walks include Virginia Woolf’s Bloomsbury. Here’s why Virginia Woolf still matters. Vanessa Bell covers are part of MTSU exhibit. Hug-a-Brit campaign sees woman hugging statue of Virginia Woolf. Woolf joins Ghandi as inspiration for Indian feminists. A recent article from English Studies is now available free on the Taylor and Francis website to coincide with the 75th anniversary of Virginia Woolf’s death. 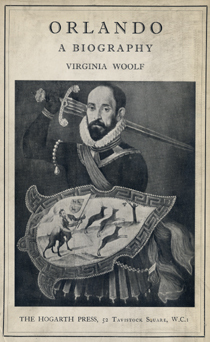 The article, by Martin Ferguson Smith, is titled Virginia Woolf and “the Hermaphrodite”: A Feminist Fan of Orlando and Critic of Roger Fry, and will be free for any reader until 31 July 2016. The article can be found at http://bit.ly/Woolf_Smith. Here’s the abstract for the article, which is available for download as a PDF. After Virginia Woolf’s biography of Roger Fry was published in 1940, she received a letter from Mary Louisa Gordon strongly critical of her portrayal of Roger’s wife, the artist Helen Coombe, and even more critical of Roger’s character and conduct. Mary and Helen had been friends before the latter married in 1896 and went on to develop severe mental health problems. In 1936 the Woolfs had published Mary’s historical novel, Chase of the Wild Goose, about the Ladies of Llangollen. The article is in four sections. Section 1 is introductory. Section 2 is about Mary. It discusses Chase of the Wild Goose, its relationship to Orlando, and Virginia’s comments on it and its author, whom, in letters to Ethel Smyth, she calls “the Hermaphrodite”. It goes on to describe Mary’s life and career as medical doctor, suffragist, first female Inspector of Prisons in England and Wales, and scathing critic of the prison system. Section 3 presents Mary’s letter to Virginia, with significant corrections of the text published by Beth Rigel Daugherty. Section 4 focuses on Helen, and on Mary’s assessments of her and Roger. 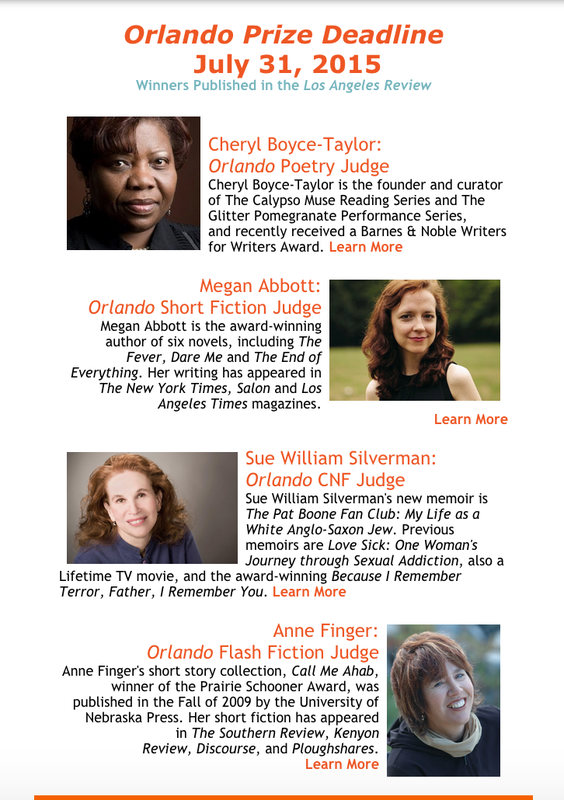 Four Orlando prizes of $1,000 each and publication in The Los Angeles Review are awarded twice yearly for a poem, a short story, a short short story, and an essay by women writers. Deadline is July 31. Get the details on the A Room of Her Own Foundation website. Submit online.